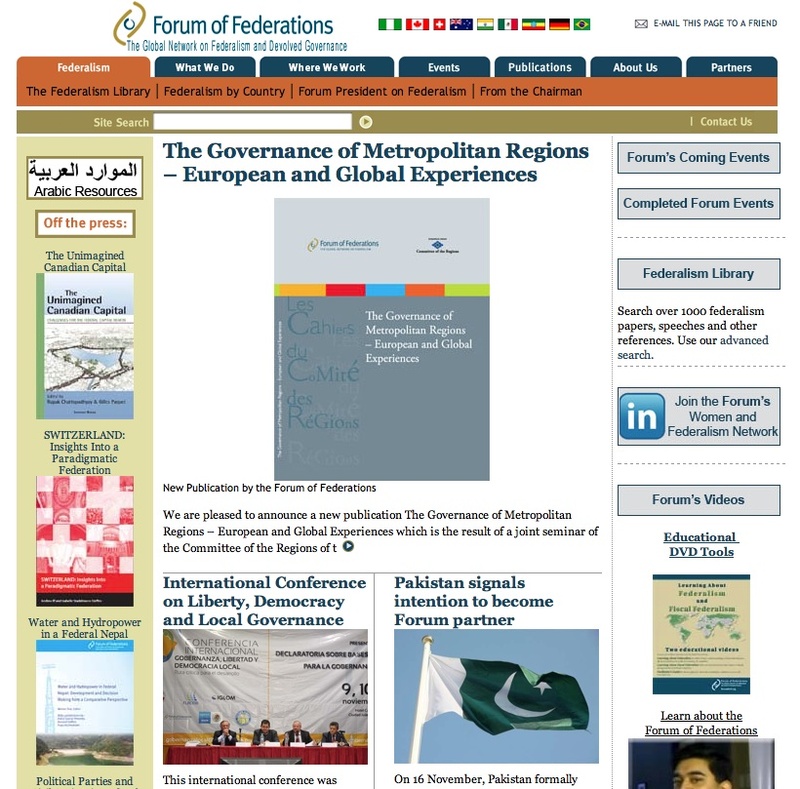 Based in Ottawa, Canada, the Forum of Federations is a non-profit international network on federalism that brings together practitioners, scholars, and experts on the topics of federalism, federal systems and similar. It provides information and resources on the practice of federalism and provides policy and program assistance to governments in established and emerging federations. Its website presents a clear interface architecture and some interface pages are available in various languages. It gives access to a very large amount of material, from the center’s annual reports and publications to issues of topic-related journals, offered entirely free of charge and downloadable in several languages. For e-books and video material only, a payment is usually required and users are allowed to download for free only abstracts and tables of contents. In addition to research material, a large list of external connections to governmental institutions classified by country, as well as to partner organizations and institutions is available. News on internal activities are provided on a monthly basis and users can scan online news sources around the world every day. Its richness of contents notwithstanding, this website reaches a good level of usability thanks to its simple structure and some navigational facilities. An e-newsletter is also available.